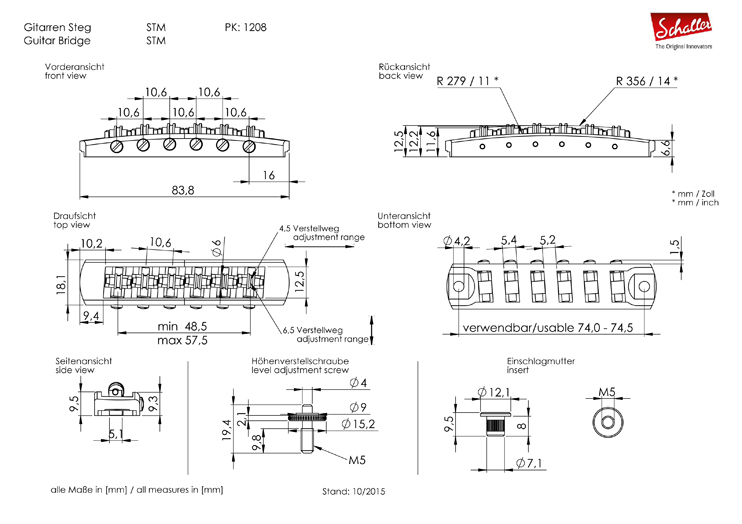 High-quality bridge for all Les Paul™* type guitars. 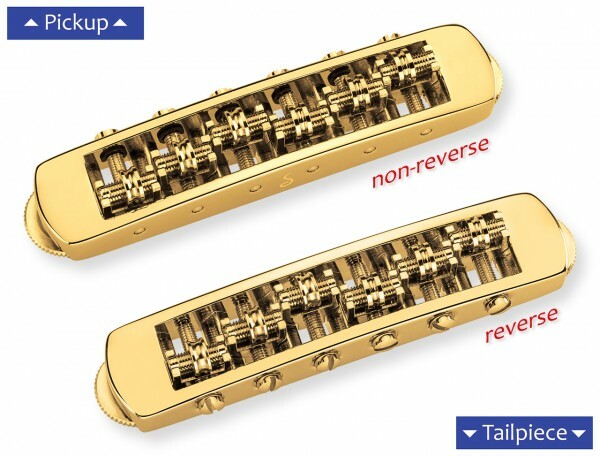 Comes with 2 different type saddle rollers to suit tone and string bending requirements: wide V-shaped for low strings and tight U-shaped for high strings. Slant angle to be determined by guitarmaker based on scale length and string gauge. Bigsby is a protected trademark owned by Fred Gretsch Enterprises).